Uzbekistan celebrates Independence Day. This doubly landlocked country withdrew from the Union of Soviet Socialist Republics in 1991. Steppes and deserts are major land features of this country, with an area about the same as the area of California. Over 28 million people live in Uzbekistan, and Tashkent is the capital. Slovakia celebrates Constitution Day. Its constitution was ratified in 1992 and took effect January 1, 1993. This landlocked country’s area is about twice the size of the area of New Hampshire. About 5.5 million people live in Slovakia, and Bratislava is the capital. Martha, the last passenger pigeon, died in 1914. Named after Martha Washington, this bird lived for about 29 years in the Cincinnati Zoo. 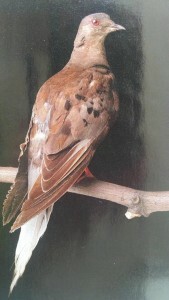 Some experts believe that between three and five billion passenger pigeons once lived in North America. However, destruction of its environment and large-scale hunting brought an end to the species. 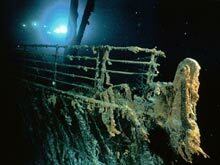 Titanic was found by Dr. Robert Ballard in 1985. The “Unsinkable Titanic” sank on April 15, 1912. The wreck was 500 miles off the coast of Newfoundland. Children can view an interesting video of the ship and its discovery at: http://oceantoday.noaa.gov/titanicwrecksite/. Jim Arnosky (born New York, New York, 1946) is a children’s book author and illustrator. He stresses animals, plants, and nature. His works include Big Jim and the Whitelegged Moose and Turtle in the Sea. Visit his website, particularly the coloring pages, at: Jim Arnosky. Engelbert Humperdinck (born Sieburg, Germany, 1854; died September 21, 1921) was a composer. He is famous for his opera Hansel and Gretel. He also wrote incidental music for plays, including several works by Shakespeare. Edgar Rice Burroughs (born Chicago, Illinois, 1875; died Encino, California, March 19, 1950) was, at various times, a soldier, gold miner, cowboy, and policeman. He is famous for writing the Tarzan books. He wrote twenty novels. They have been translated into fifty languages, and over twenty million copies have been sold. The character was also featured in movies, comic strips, and television. Children can read many of his works at: Project Gutenberg. Children can learn more at: Edgar Rice Burroughs. Great Britain and the American colonies conducted a “Gregorian Correction” to the calendar in 1752. The day after September 2 became September 14. Angry mobs protested in the streets because they felt they lost eleven days. The country also changed New Year’s Day from March 25 to January 1. Most of Europe had adopted the Gregorian calendar almost two centuries earlier on October 4, 1582. 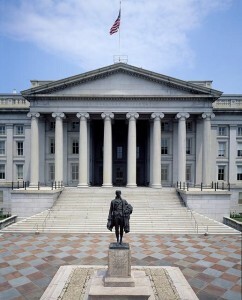 Over 100,000 people work in the Treasury Department. Children could visit the department’s website at: Treasury Department. Who is the current secretary of the treasury? 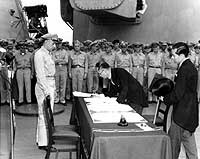 Japan formally surrendered in 1945 aboard the USS Missouri, ending World War II. The ceremony, broadcast around the world via radio, lasted about 23 minutes. The Allied copy of the surrender is located in the National Archives: World War II. Demi (born Charlotte Dumaresq Hunt in Cambridge, Massachusetts, 1942) has written and illustrated at least 300 books for children. Her books include Muhammad and Gandhi. Children can learn more at: Demi. Eugene Field (born St. Louis, Missouri, 1850; died Chicago, Illinois, November 4, 1895) was a writer. He is most known for his poetry. Idea: Children might enjoy reading The Gingham Dog and the Calico Cat, published in 1894. Children can read many of his works at: Project Gutenberg. James Forten (born Philadelphia, Pennsylvania, 1766; died Philadelphia, Pennsylvania, March 4, 1842) was the son of free African Americans. He was almost sold into slavery during the Revolutionary War. 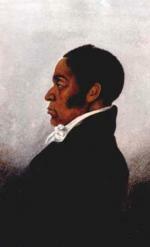 Later he became a successful businessman and was active in the abolition movement. Idea: Children could read biographies about Forten. How did he help the antislavery movement? Christa McAuliffe (born Concord, Massachusetts, 1948; died in the Challenger explosion, January 28, 1986) was a high school teacher. She was picked to be the first ordinary person to travel in space. Six other crew members died with her. Bernard Most (born New York, New York, 1937) writes books for children. His books include If the Dinosaurs Came Back and The Cow That Went Oink. Children can visit his website, particularly the coloring pages, at: Bernard Most. Elizabeth De Trevino (born Bakersfield, California, 1904; died Cuernavaca, Mexico, December 2, 2001) was a children’s author. One of her most popular works is I, Juan de Pareja, which received the 1966 Newbery Medal.